Transportive. 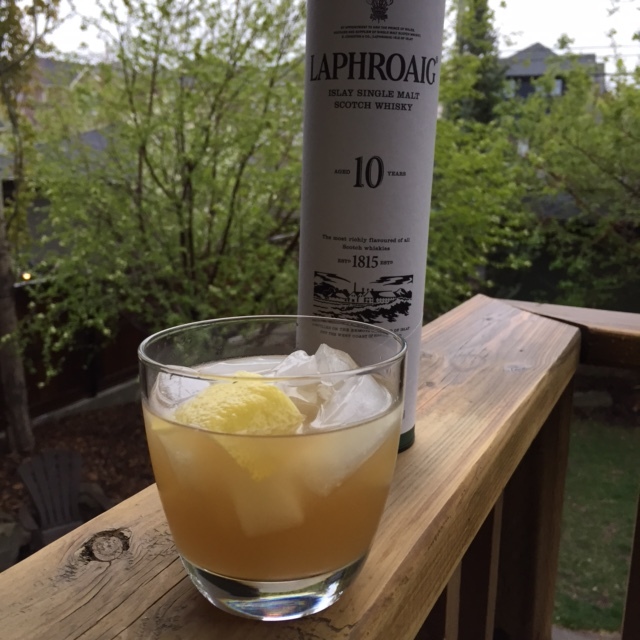 That’s the word to describe what happens when you spend a week on Islay sipping Scotland’s smokiest, peatiest single malt scotch whisky, then return to Canada and open a bottle of Laphroaig 10 Year Old on a rainy spring evening. 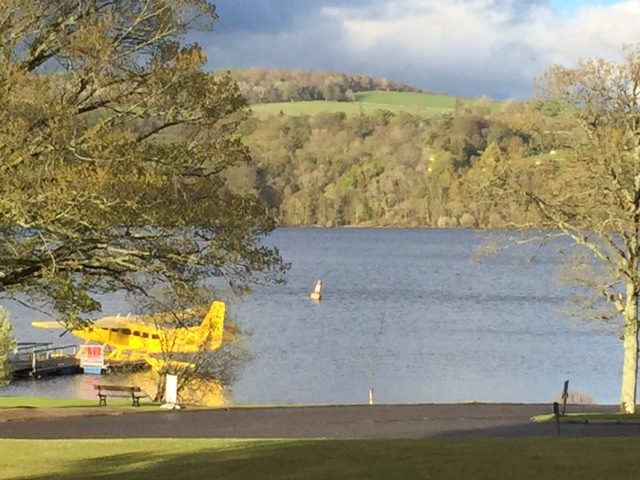 Transported to Islay via seaplane from Loch Lomond. 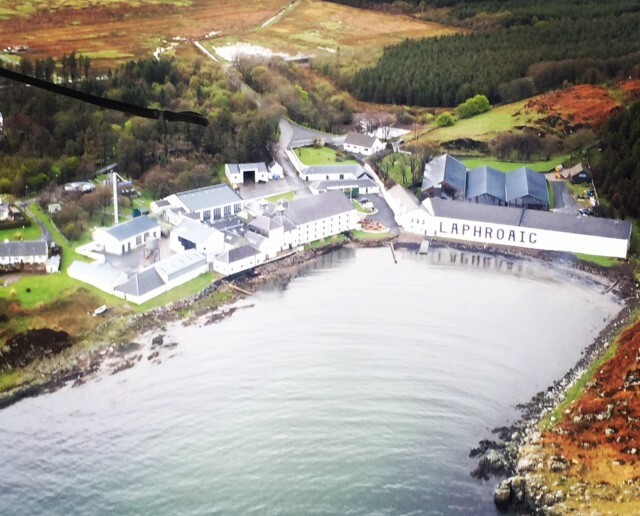 Great view of Laphroaig Distillery flying in. Just one sniff takes you back to Islay and the moors and the salt and the sea. 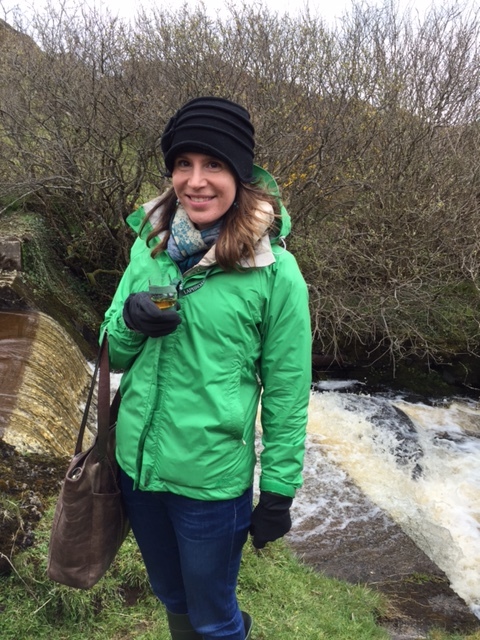 One sip and you’re there, defying wind to cut peat from a bank, shaping snow angels atop a pillow of smoky malted barley inside the distillery, or washing down a local stinky blue cheese with just as stinky of a dram. Laphroaig Distllery sits next to the sea on Islay. Distilleries were traditionally built on the water for shipping reasons. 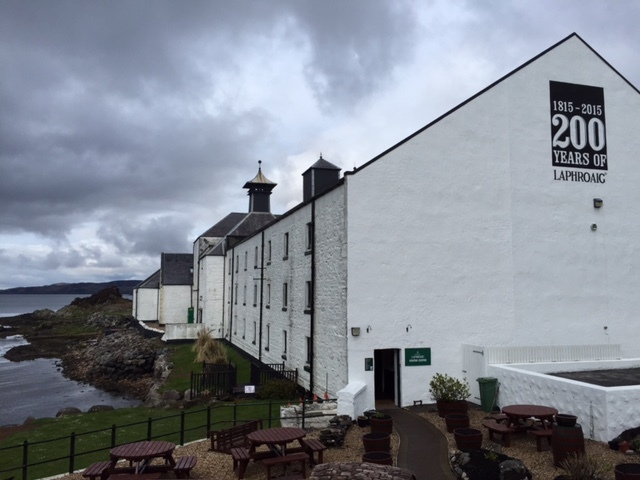 I was one in a group of 20 international journalists invited to Islay by Laphroaig to celebrate the whisky’s 200th anniversary (celebrating throughout 2015, and with new whisky expressions). 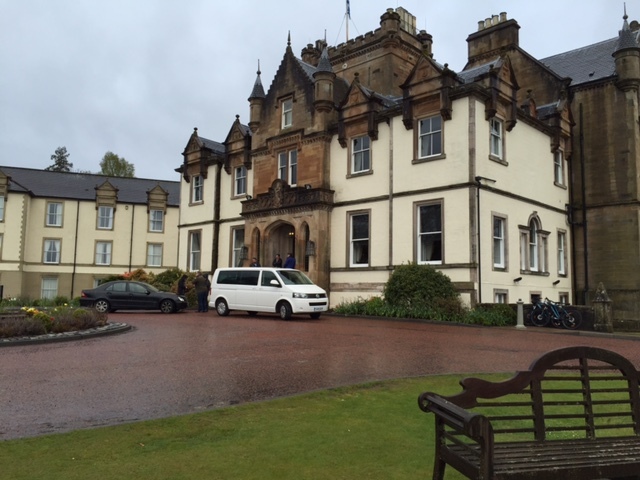 I spent three days touring the island and getting a crash course on all-things-scotch. Full disclosure: heavily peated whiskies like those from Islay intimidated me prior to the trip. 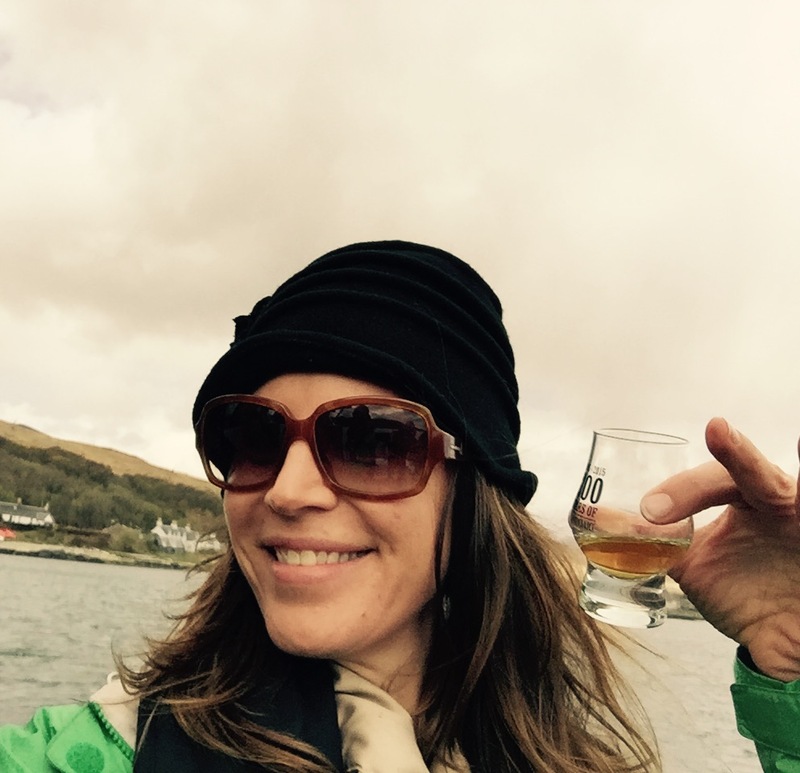 I wondered: would I hold back, or would the charms of the island and its whisky history win me over dram by dram? I’m pleased to say the latter happened, as a bottle of 10 Year Old, or 15 Year Old, or 18 Year Old seemed to follow us from distillery to bus to boat to karaoke night at the Islay Hotel. I’ll be writing more about what can only be described as “Islay time” — the island, the whisky, the people — for various publications in the coming months. So stay tuned. In the meantime, “Slainte!” (“health”), toasted with a dram (or cocktail). 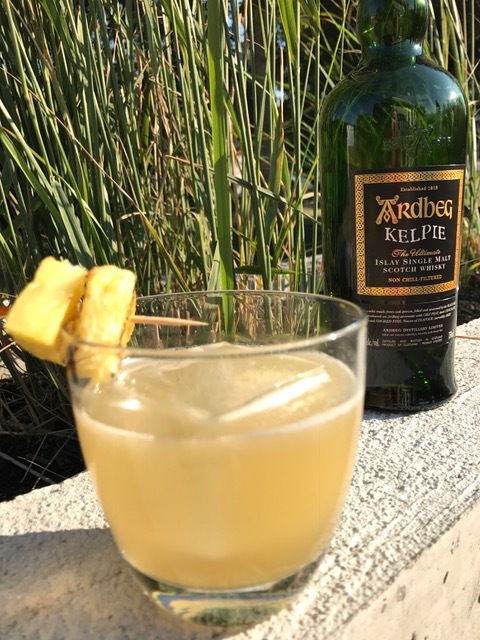 Note: I mostly sipped whisky on its own — or with a bit of water — while in Scotland, but I couldn’t resist digging up a classic recipe that calls for Laphroaig. This one’s just what the doctor ordered when you’re missing Islay on a rainy spring evening. 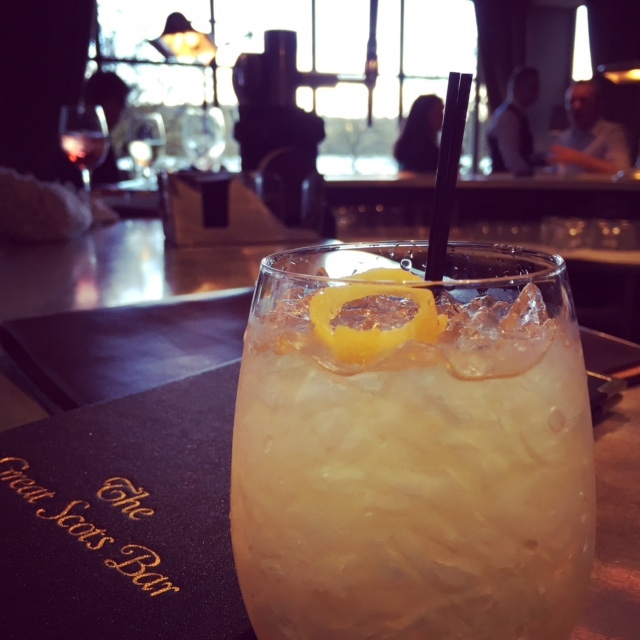 Penicillin cocktail. Laphroaig is good medicine! Method: Muddle the ginger in the base of a cocktail shaker until it is well mashed. Add the whisky, lemon juice and honey syrup, and fill shaker with ice. Shake until well chilled. Double strain into an ice-filled rocks glass to remove little bits of ginger. 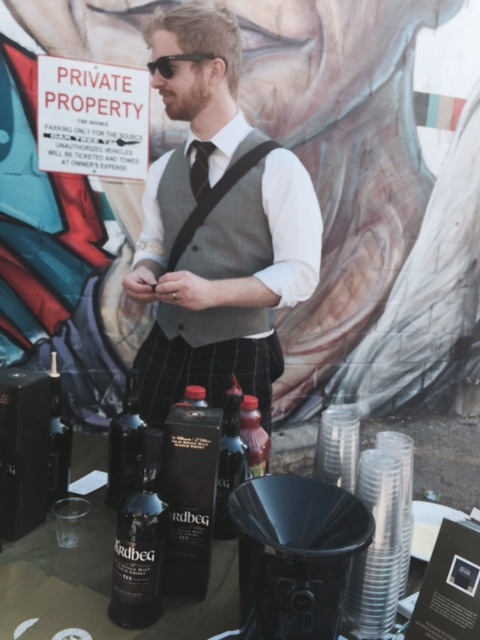 Finally, pour the Laphroaig over the back of a bar spoon so that it floats atop the drink.